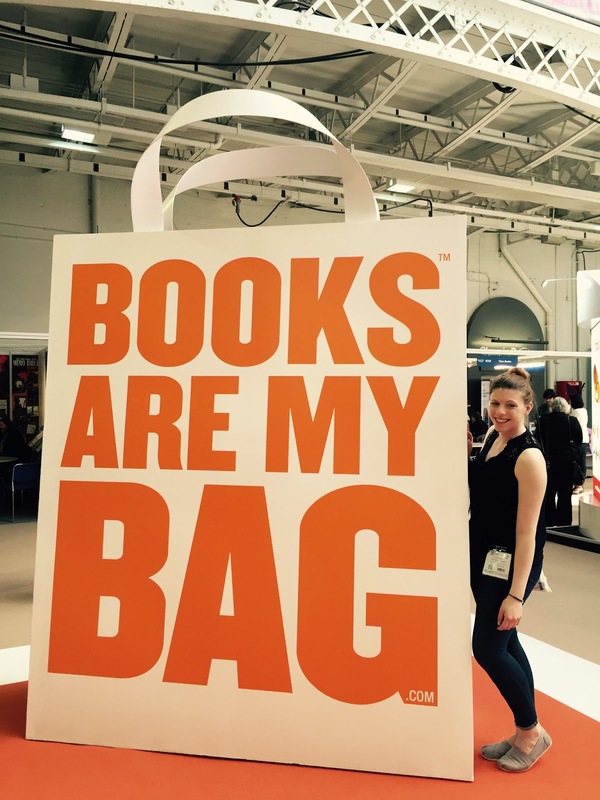 This year SCBWI members are entitled to a special discount to attend London Book Fair. If you're 'umming' and 'ahhing' about whether a visit to LBF is worthwhile, then umm no more. Words & Pictures Co-editor, Ellie Brough shares her top tips for getting the most out of the fair as an author or illustrator. Get your burning questions answered and then check your inbox for your special SCBWI discount. Visiting London Book Fair is an experience that every book lover who finds themselves in London in springtime must experience. For £30 (or less if you’re smart and take advantage of your special SCBWI member discount!) you can immerse yourselves for three days in the most bookish environment you are likely to find yourself in. London Book Fair takes place from Tuesday 14th to Thursday 16th March and there is a lot to bear in mind for your visit. It is easy to become overwhelmed by the chaotic energy thrumming in the hot, busy halls, so here’s a quick guide on what to expect and what to look for to get the most out of your visit. Make sure you head to the Author HQ. Here you’ll find lots of great talks and seminars on everything you need to know as an author, writer or illustrator. Check out the schedule of talks before you go and make sure you get there in plenty of time to get a good seat. The halls are very busy so it can be quite hard to hear if you get there late and end up listening from the edges. Also check out the list of authors appearing at the Pen Literary Salon. These talks can be a very interesting insight into an author’s own experiences within the industry and to hear about their latest work. It’s also an opportunity to meet some of your favourite authors and get your books signed. The London Book Fair is not the time to approach editors on stands about your work. Everyone will be too busy focusing on their existing authors and illustrators and they aren’t there to commission new talent. A better use of your time is to get an inside look at what’s happening in the industry this year. Go to the industry seminars and walk around the publishers’ stands to get a glimpse at what is coming out and what the current trends are. The fair is big! There are a lot of halls to explore and chairs are few and far between so you’ll be on your feet all day. Wear comfortable shoes and layers to cope with the inevitable stuffy heat. Take plenty of water and pack some snacks; you’ll need your energy! Don’t be scared to approach people and open a conversation. The atmosphere can be intimidating but people are there to network. Don’t be scared to talk to people on stands and ask them your questions, just manage your expectations. You are unlikely to get a publishing deal or an agent out of your visit but with a smile and a good attitude you can get a lot of information. Keep an eye out for freebies! Pens, totes, sweets and even a cheeky glass of prosecco: all of these are on offer to the savvy fair attendee. Take the opportunity to meet up with other people in the industry. Do you have any literary Twitter friends? Do you have an online SCBWI writing group you’ve never seen in person? This is a great opportunity to put a face to those twitter handles, get tweeting and arrange a meet up. And speaking of meet ups, join us at the SCBWI LBF social on Tuesday 14th March. SCBWI illustrator Eric Heyman will be hosting the event at the Cumberland Arms from 6pm. Come unwind after a long day at the fair! London Book Fair is a great opportunity not to be missed. Check your inbox for your special SCBWI discount and let’s get a strong SCBWI presence at the fair this year. Looking forward to seeing you there! This is the best article I've read on this subject! And great advice too. Great tips, Ellie! It really does give a good overview and the seminars are there for you (not just for publishers etc). It was lovely to be greeted with smiling faces at the Cumberland Arms on Tuesday, and spend time exchanging experiences - what a fantastic and supportive SCBWI!